I was looking through old photos that my family has, and other than this photo being in colour of Bistritsa not much seems to have changed. 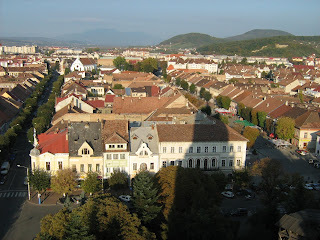 So, I would argue that Transylvania at present is still very much like it was centuries before and I suspect that change is slow simply because the place developed its own life slowly. Still, it would be interesting to see a change, but for me, this means that for work, a slow change to the landscape is better than a quick change.